The long-term gathering of know-how in the field of manufacturing and processing recycled rubber for the use in the fields of acoustic insulations, industry and building industry, transport of materials and construction of sport facilities stands behind the success of the company. 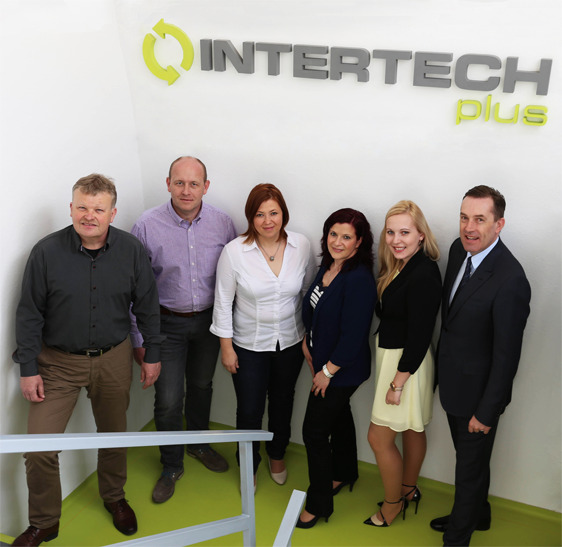 Since its foundation, INTERTECH PLUS has been committed to find solutions to general problems connected with undesirable noise and to develop products increasing the quality of our lives. By using modern technologies and constant development and improvement of manufacturing procedures, we have the best prerequisites to produce products made of rubber fibres and granules with unique versatility in use. We continue investing in the development of new materials and searching innovative solutions using environmentally friendly methods of manufacture with low negative impact on the environment. Close cooperation with teams of specialists dealing with rail transport contributed to the development of special anti-vibration mats, rail absorbers and noise protection walls which help eliminate the noise transmitted from train carriage units on surface and underground lines. They can be used under gravel or concrete ballast beds or for specially adapted systems designed for the installation on rails. Since the beginning of our work in the field of development of surface materials for children’s playgrounds we have dealt with questions of maximum elimination of any possibility for injuries at children’s playgrounds. This is the reason why we have developed special rubber boards which meet the strict requirements of the EN 1177 safety standard. Thanks to its properties, this product is not only suitable as a surface of children’s playgrounds, but also as a surface of multi-purpose sports grounds, including fitness centres. We offer a range of products for the use in common life, such as interlocking paving made of recycled rubber which is friendlier to human joint system than typical concrete paving thanks to its properties. Lawn mowing will also be a bit easier if rubber garden kerbs are used. Last but not least, we also produce mats for the use under household and equipment (washing machines, dryers, heat pumps and air-conditioning units) which absorb noise and vibrations, thus preventing the transmission of these undesirable effects to rooms and walls of apartments or houses.